Last Friday in Peterborough we had a training day on Street Evangelism. Part of the day was giving a practical experience to those who who took part to engage with people in the city. 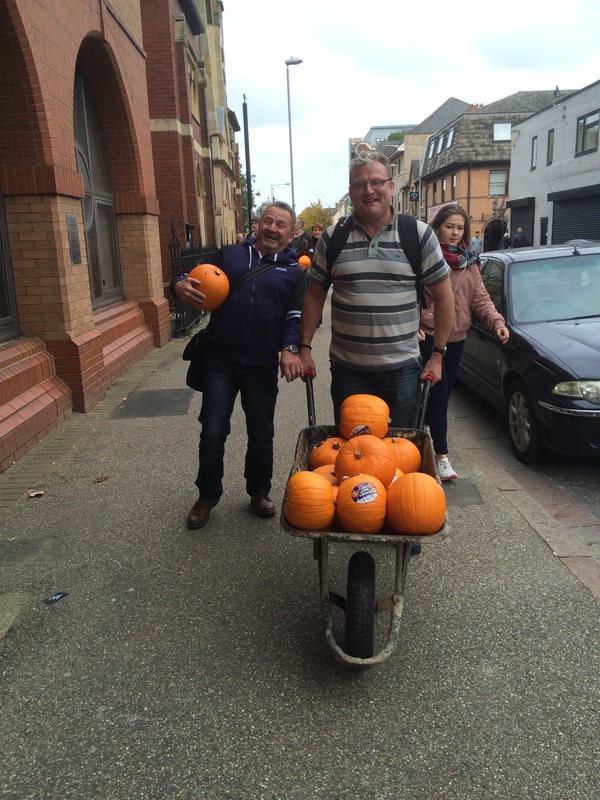 We decided to give away free carved pumpkins! So…. 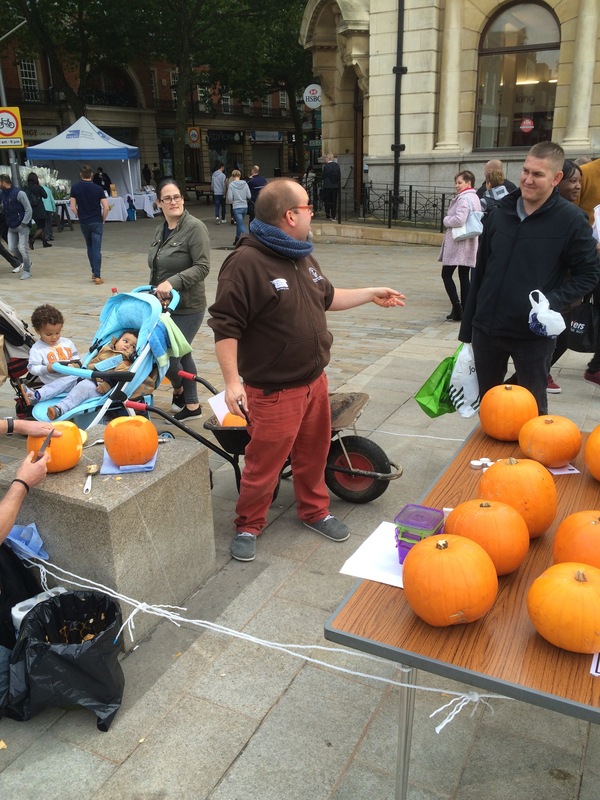 We wheel barrowed 20 pumpkins into the Cathedral square and set up our pumpkin stall. We had three designs that corresponded to 3 different prayers that I had made up that we prayed for people as they received the free gift of a pumpkin! 2. Another was a big smiley face simply thanking God for the good gift of Jesus. 3. The last design was two hearts. One big one and one small one. The prayer that corresponded to this was about thanking God for being with us and loving us. One lady asked what we were doing and it was obvious from what she was wearing that she was a Muslim. I tried explaining about Halloween and how we wanted to bring something good and I spoke about light in a time when people often get frightened and many celebrate scary things. She then got a Koran out of her bag and flicked through it frantically looking for something that she wanted me to write in Arabic! She explained that she wanted the name of Jesus in Arabic carved into a pumpkin and asked me whether I knew how to do that! I asked whether ‘Isa’ would be sufficient but she kept looking and looking to see whether she could find the name in Arabic. In the end she was happy for me to carve the name ‘Jesus’ in English and she said on the other side she would ask her nephew to write it out in Arabic for her Muslim neighbours! 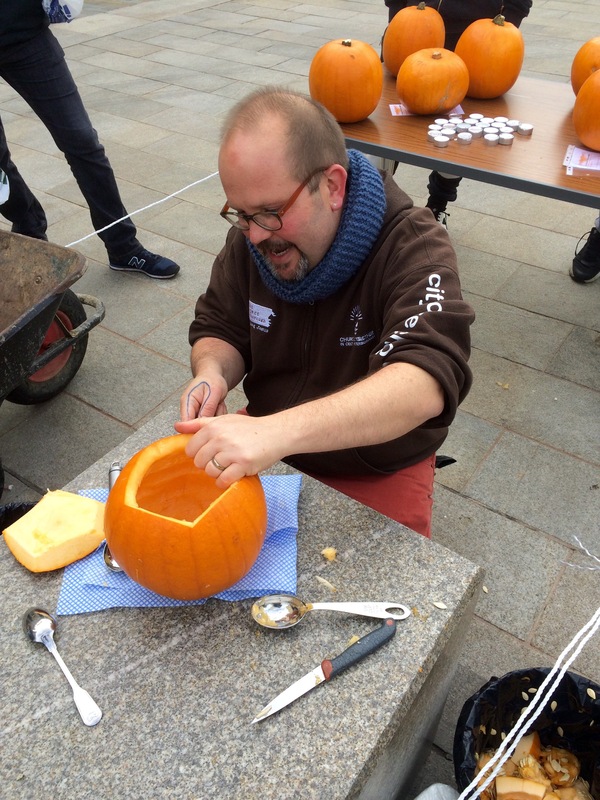 It was such a privilege carving prayer pumpkins for people and for a couple of hours we had a steady queue of people. Not only were pumpkins given but good conversations took place and one mum was so greatful for her pumpkins she gave us a posh pack of biscuits as a thank you! 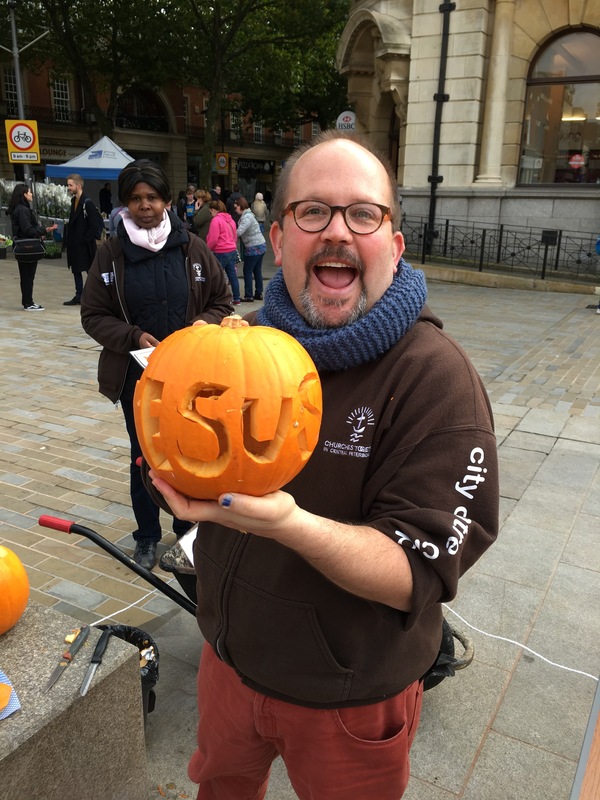 If you haven’t carved a pumpkin to show and tell something of your faith why don’t you give it a go this year?